come with me comrad, we will do it twice! 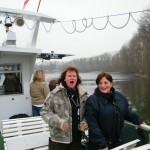 a boattrip is funny, a boattrip is fine! A little bit drunken are the cachemates laying in the arms each other and are walking through the vineyards, some of them sit down in little hidden places to becoming familiar with each other. The sun is setting down behind the hills, the wind blows through the red coloured oaks and the last warmth touches the faces of the cachemates heading westwards. Kreeeek, stop, wrong movie! Please rewind! A little bit drunken by the mulled wine are the cachemates sitting on the sun deck of the MS Sealife on the 6th of february. The little steamboat does its way through the iced part of the “Altrhine”, a natural reservate and smaller part of the river Rhine. 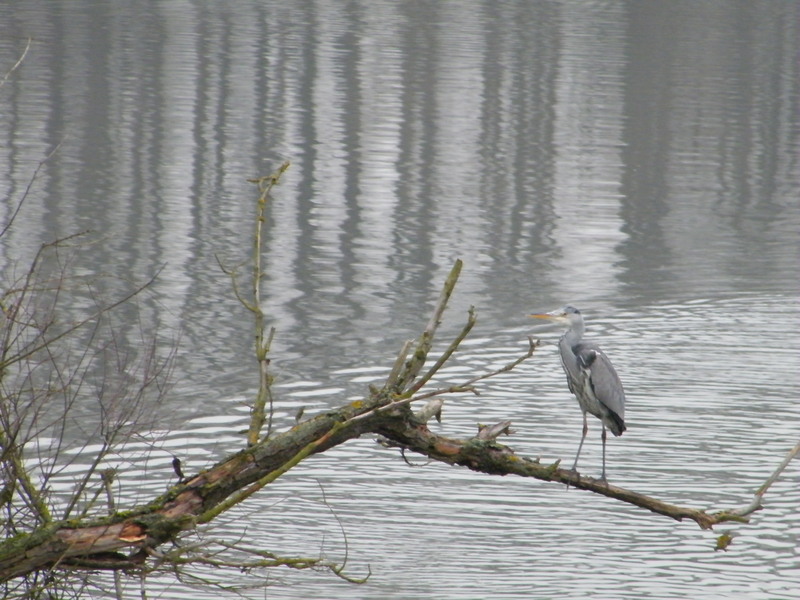 Quiet passes the little steamboat and vanishes after some minutes in the fog, that comes across the riverbanks. 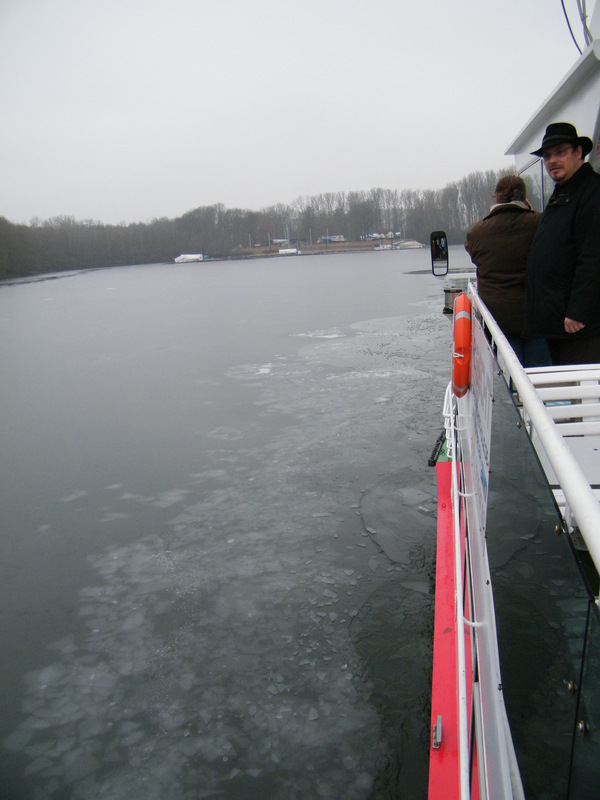 Only the sound of jangling coins and the sound of laughing about some joke are coming from the inner part of the boat. One grey part of the riverside takes place for the next one, the skipper does make some maneuver to get away from some sunken trees. After a while, the sun’s getting down and the darkness is laying above a black blanket. The little steamboat returns to the harbour and then they come out: Geocachers! They have their event on the boat first and are heading towards a restaurant stright now. But wait, just a few meters away, under a little bridge there is a new cache, especially placed for this event! Caching without some whitness isn’t possible, so the herd has to be the camouflage! After this exhausting expedition, they’re moving towards the red half moon, a tiny little restaurant in the oldest part of the town Speyer (Spyra). 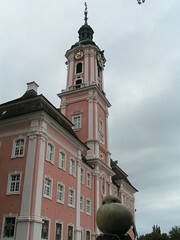 The Speyer Cathedral is only a few hundered meters away uphill. Thanks for this great Event! It’s not very often, that we have snow in Heidelberg. 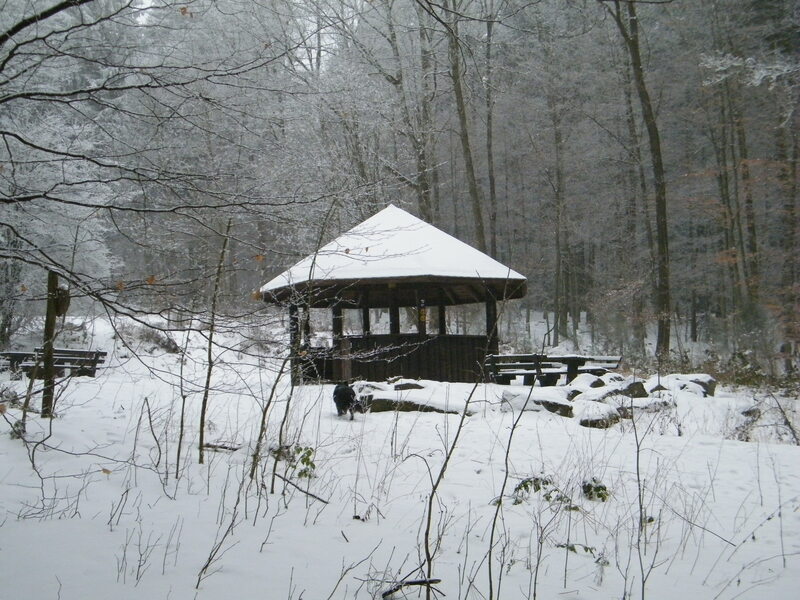 This year it’s the second time, that we have enough snow to go with a sleigh for a ride downhill or make a nice tour through the white winter forest and find some caches nearby! Last sunday I met Thomas and his dog at 3 oaks, a central point in the forest in the southern area from Heidelberg for a “little” tour. The day before and on sunday midday it has started to snow again, but that didn’t matter for us. On our way from 3 oaks to the “Kohlhof”, an old farm with a restaurant. 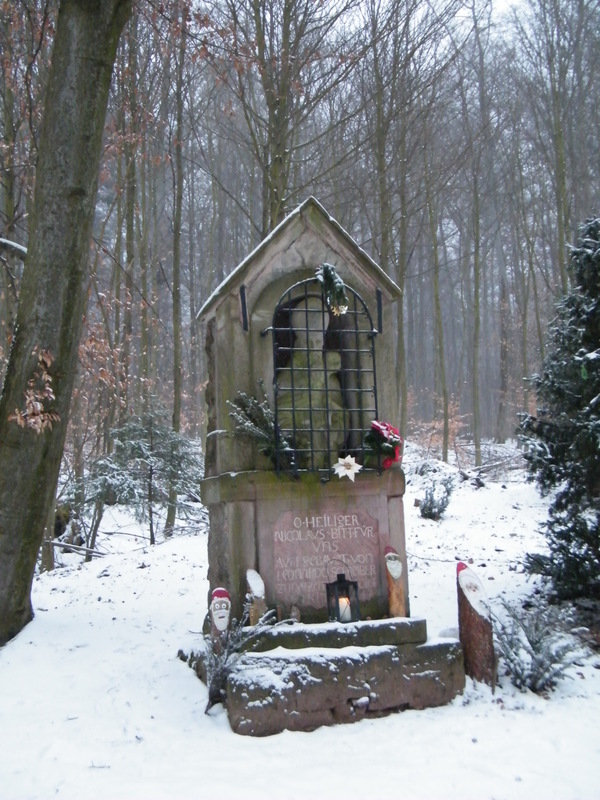 But we left this area without stop, heading uphill to the highest mountain called “Königstuhl”. On our way we found a littel nice hut, the “Kaltteichhütte” that means a hut beneath a cold water dump. 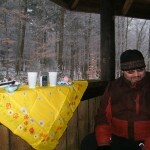 And coincidentally I have some cake and tea with me, a neat planket and we could hav a little picknic in the hut! 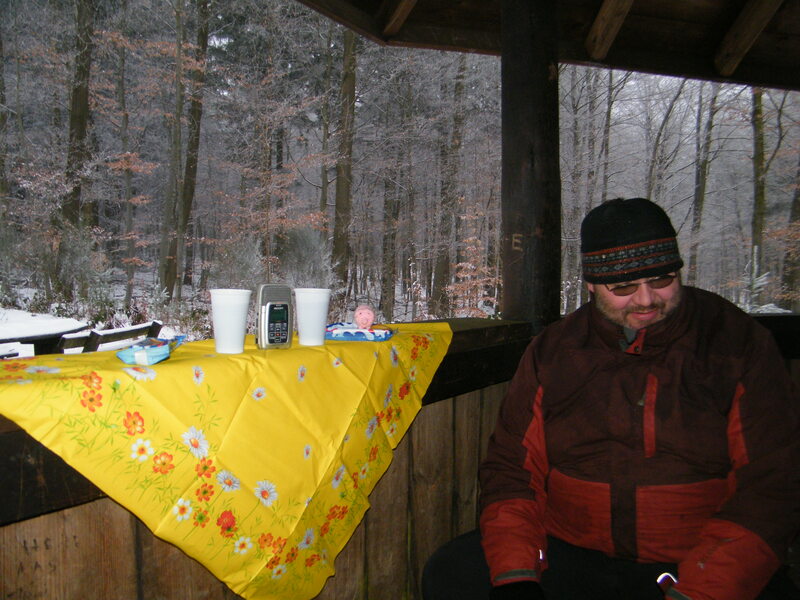 Yeah, the other people, which came to the hut looked very jealous, because it was cold and snowy and the tea was hot and very good! 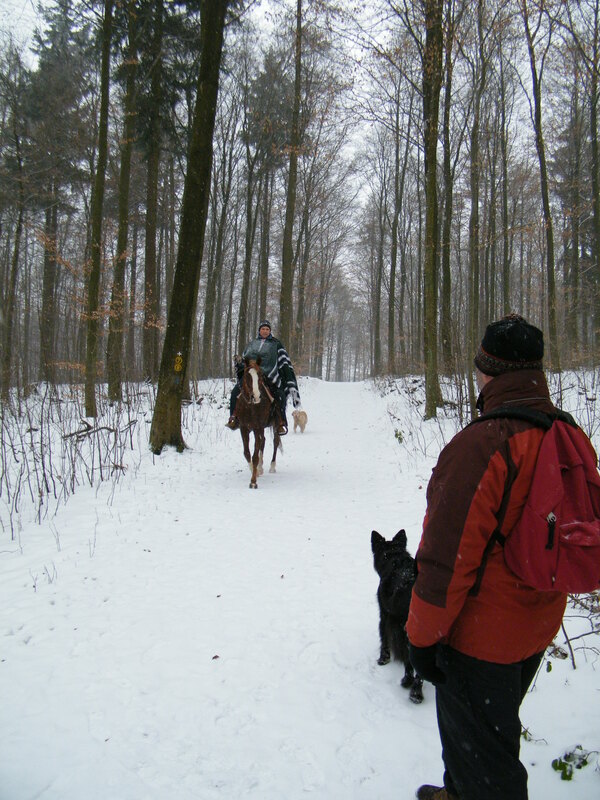 We met a guy on his horse riding, he told us, that he was riding fro a village 10 km away up to the Königstuhl and back. “no, that’s no problem for my horse, it can go 40 km a day”. 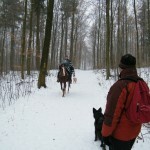 It looks very good, a horseman in a german forest at winter! After our stop at the hut we were going straigt forward to reach the mountain and then - top of the hill - to find our way back on another path, where a nice cache would be. I know this cache and logged it a year before in summer, but Thomas didn’t know it, so he decided to catch it. But…… it has over 30 cm of snow and the hint : under a rotten treestump isn’t very helpfull at this moment, especially if everything looks like a little snowhill. And I couldn#t remember where the cache exactly was. We found some footprints, going from tree to tree and followed them, but we didn’t found the cache. After half an hour we gave up and took our way home, made some funny pictures and after a 4 hour walk we were back by our cars. I didn’t expected that snow can cover a cachelocation so perfectly, that a known cache would be perfectly hidden. 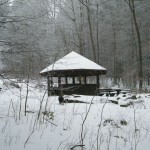 At the moment it’s starting to snow again, so I think it will take some more days without caching in the forest; best opportunity to write my blog! As I wrote some days ago, I’ve been one week in Langenargen, a small village between Friedrichshafen and Lindau. There is a old castle, built in the late 19th century, called “Schloss Montfort” on the shore and the small harbour is like the harbours in former times. 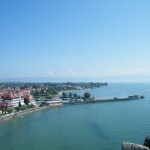 You can walk several kilometres along the shore in both directions, till Friedrichshafen the way is about 15 kilometres and till Lindau via Kressbronn, Nonnenhorn and Wasserburg is about 20 kilometres. Some kilometres far away is the border to Austria and just behind there is Bregenz, a middlesized town. 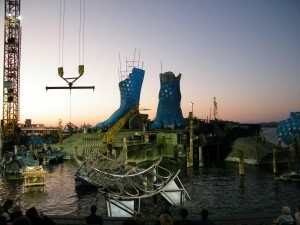 Every summer they’ll have an opera-festival at the lake Constance with the stage in the lake! This year - and next year too - you can see the famoust opera Aida from Guiseppe Verdi. 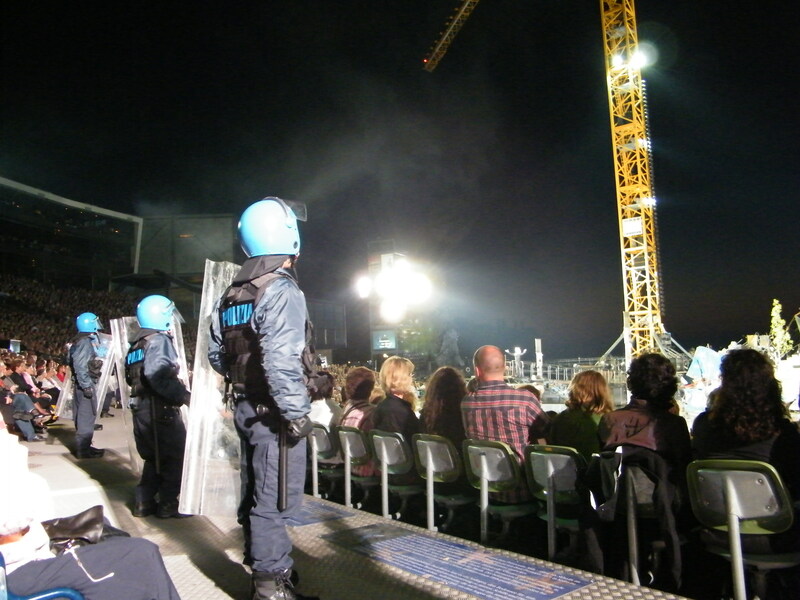 Here some pictures from the last performance forethat we’ve got tickets. As you can see, the stage is floating. The decoration is remebering the Liberty in New York; in the middle of the opera they will show you the torch on the left side and above the face is assembled from two pieces, hanging on heavy chains from the two cranes left and right. While the opera the chorus is coming around the spectators, so we could see one time the chorus as the egyptian army between us and the second time they came as egyptian priests. The “final” was very impressing, because Aida and Radames were on a boat, what they will bring them to the Hades and the boat was flying over the spectators through the sky, while they were singing! Here you can hear and look the final scene. The next few days we spent with traveling around by ship to Switzerland and by car to Salem, an old cloister with a wonderfull library; but the books are all at the library where I’m working, at the Univeristy Library of Heidelberg. 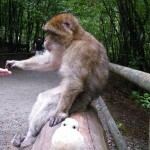 Thereby is a little animal park, only with apes called “Berberaffen”. They’ar living there in a forest without fences between them and the people so you can feed them with special popcorn, that you’ll get at the entrance. And yes, I found some nice caches in Langenargen, one is on the top of the tower of the Montfort castle. 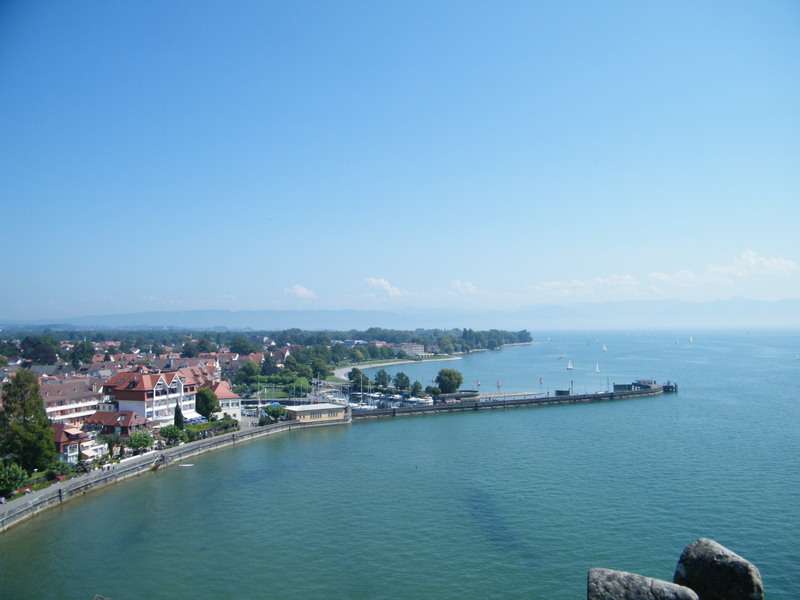 Lake Constanze – I’m coming! 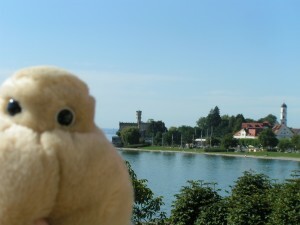 On Sunday I’ll start my first holidays this year; I’ll go to Langenargen, a village at the Lake Constanze. 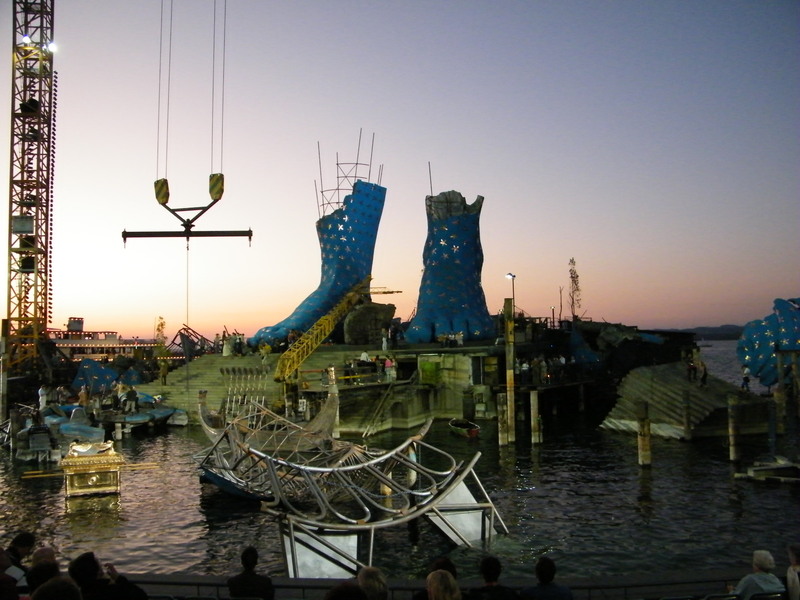 It lays just about 30 km far from Bregenz in Austria, so we tried to get some tickets for the opera Aida on the floating stage at the Bregenzer Festspiele. And we got it. On Sunday it’s the finishing of this festival and we are very keen of seeing this spectacular opera. 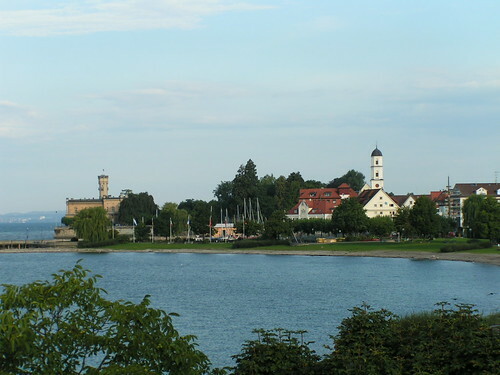 So we have to start early in the morning from Heidelberg, after 3 or 4 hours – I hope – we’ll arrive at our hotel in Langenargen, directly on the lake and at 4 pm we have to start to go to Bregenz. Why so early? First there will be over 5000 persons to hear the opera and there’s only one street to get there; so there will be some traffic jam on our route. And second we planned to have dinner in Bregenz before the opera starts at 9 pm. On Monday I’ll do some new geocaches and climb on the tower of the Montfort castle. 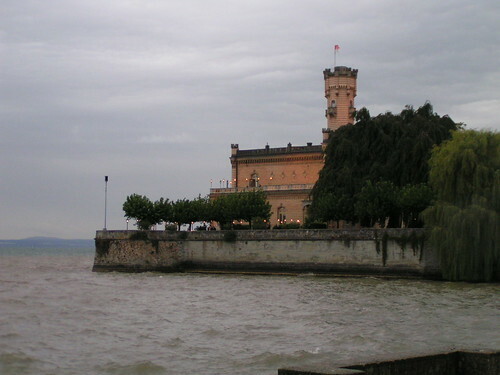 The Montfort castle is situated directly on the lake and the tower is maybe 15 m high. It’s built around 1861 – 1866 as “Villa Argena” and was a rebuilding of the old Montfort castle from the middle age. Now I’ve to do a lot before we can start; finishing my work tomorrow afternoon, visiting the second geocaching meeting in Heidelberg, preparing my GPS, looking after my camera and last but not least packing my bag. 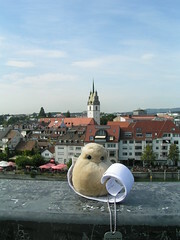 On Monday I’ll tell you something about visit in Bregenz and Aida. Yesterday I planned a short cachetrip after work. But after a look out of my window at home, I decided to stay at home. Dark clouds were coming faster and faster and after a few minutes the rain and storm started with flashes and thunder. After ten minutes, all has gone and the sun was shining. But not for a long time, 15 minutes later there was a second one. 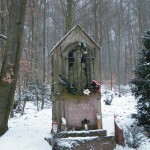 If you will, you can look here for just 1o minutes over the Rhne Valley in direction to Speyer and the palatine hills. It sounds a little funny to write about Cornwall in September because it’s June, but today I fixed up my journey to Cornwall, starting in september! And I’m funny about it, seven days in my preferred country, on the paths of Elizabeth George’s Inspector Lynley, visiting - hopefully - lovely gardens and parks, old castles and tiny villages and - of course - can do some geocaching. Adipossette, which is travelling with me has to improve her english skills and I’m wondering what she’ll say about the english cooking; hope she won’t eat only fish ‘n chips. You don’t know Adipossette, my personal travelbug? So, if someone knows some excellent caches in Cornwall, feel free to write it in the comments, I’ll try to catch it. I’ll take my notebook with me, so I can write a little diary of my Cornwall journey and post it here at the blog. 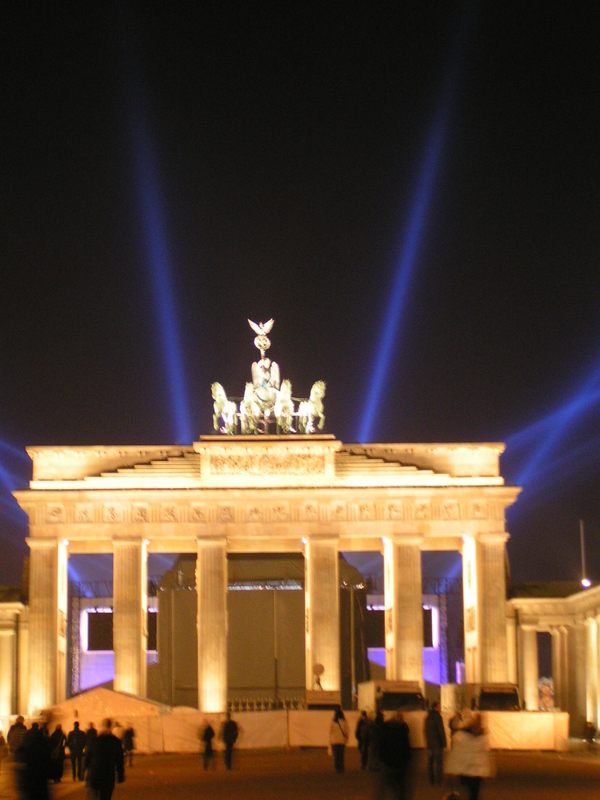 Last few days I stayed at Berlin for meeting other cachers, podcasting and geocaching. Oh, and watching the big “Feuerwerk” at the Brandenburger Tor on silvester! 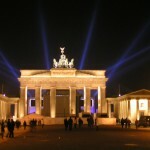 By the way I visited 3 museum The Bode-Museum , the old national gallery and the “Mauer-Museum” at Checkpoint Charlie. And I found some caches! One of the tricky one is the cache at the old castle. Castle? Yes, Berlin will get it’s old destroyed castle back! In the neigtborhood was the “Palast der Republik” from the former GDR; it’s broken down and you can see the cellars of the old castle. It’s planned to rebuild the castle in the next years. 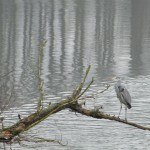 But it was so cold these days, that I couldn’t do much more caches than 9. Because I walked all the ways and didn’t took the “S-Bahn” or tramway, it’s took a little bit longer to arrive at the several cache locations. And for the first time I was paperless caching but it didn’t work like I thought. 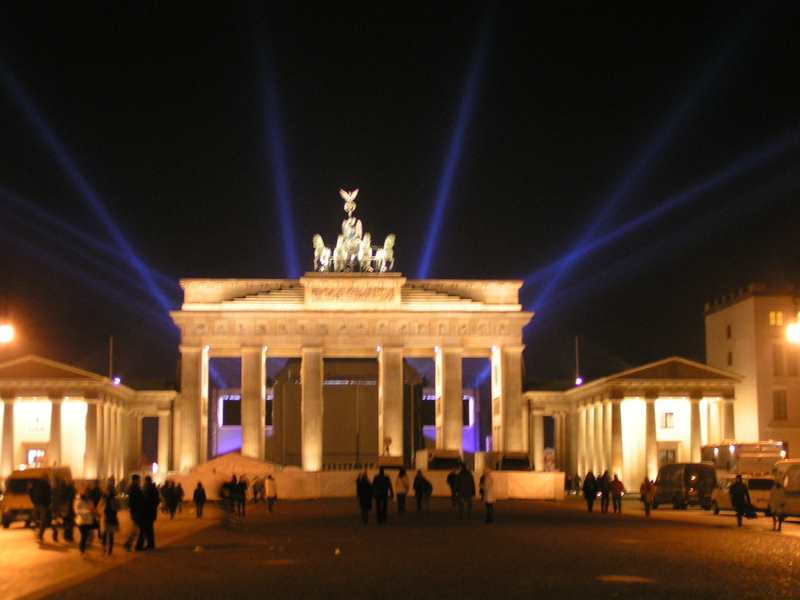 So I did two virtual caches - one at Checkpoint Charlie and the other one at the “Mauer” at the “Potsdamer Platz” - and only 7 traditional caches but in the summer I will return and find the others hundreds and thousands of caches….. It was a short but very nice stay at Berlin with meeting nice other cachers - we will meet us at the mumble server - and next time I’ll get better prepared for geocaching! Promised! At night normally I’m staying at home; but since I’m doing geocaching, you’ll find me more often in the woods or fields at night. 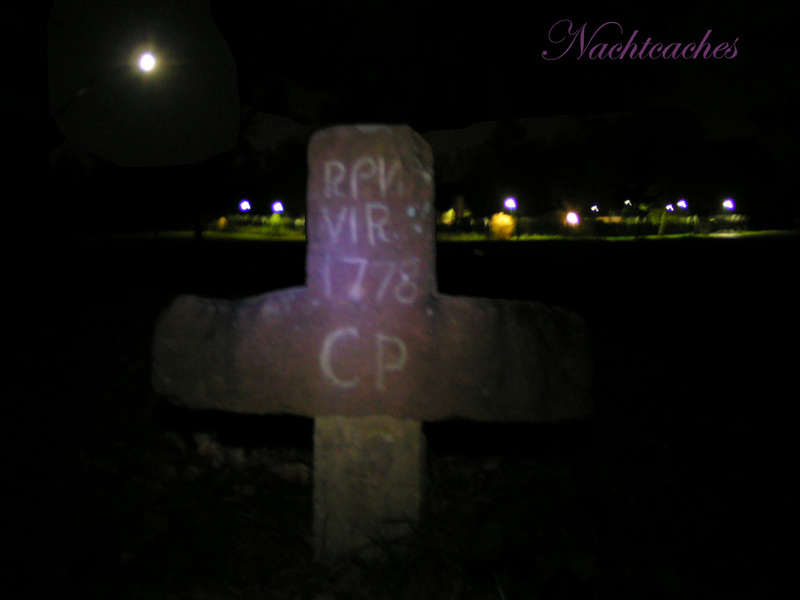 Last weekend I met two other geocacher called “cyberberry’s” from the area around Pforzheim and we did a exciting nightcache: “Operation Papa November” GC1HBW5. “Sauhatz - Blutige Rache im Hardtwald” GC1GZAV. A cute little nightcache, takes not more than a hour to solve it and I needed two times! First I found all reflectors, but didn’t find any stage. Mmhh, on my way back to the car I found stage 4 but didn’t recognize that it was a station! Ok, it was night and I was alone in the dark and the wild animals around me were starring at me and…….. Ouch, only a joke; no wild animal was seen! Back at home I wrote my DNF as a rhyme and waited for an answer. Because this was my first nightcache I thought that I didn’t know how to recognize a stage. The owner answered very quick and three days later I started for the second time! And what shoukd I say? Easy goning this time. All stages were on its place, the final was exactly at the cooridinates. Don’t know, why I wasn’t find anything at the first time! For Operation Papa November we needed 3 1/2 hours to finished and every minute was worth it! 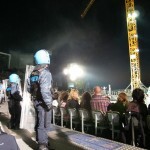 Technical installations with sound, laserlights needed, UV-light was used and so on. The location is an old us-army munitions-depot. you can hear agent struwwelchens mission-report here (unfortunately only in german). use a geodreieck (every german pupil owns one), use laserlight and use your brain! We need 3 hours ab finally we did the FTF! Since september 2008 I’m the geocaching-mate from struwwelchen. Preferably I’m with struwwelchen at here cache-toures. I normally live in her backpack inside her cachemobil; but the most of the time, when she is in her car, I’m on the top of the car dashboard or I try to come in front of her camera. 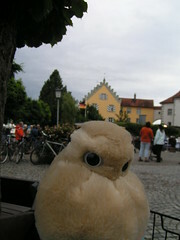 I’m looking like a small owl, but I’m a proud member of the family of the adipocytes, an category of the giantmicrobes. And I must say: I’m not allone; struwwelchen has several sisters and brothers of me; unfortunalley the last months some of them were passing away because struwwelchen did so many caches uphill. Normally I ge t my cake and a good coffee every afternoon, since the holiday struwwelchen doesn’t care about me: no cake, no coffee, only cahces caches caches. I was running up and down in the Lake Constanze area, found caches at the monastery Kloster Birnau with a fantastic view to the lake Constance. 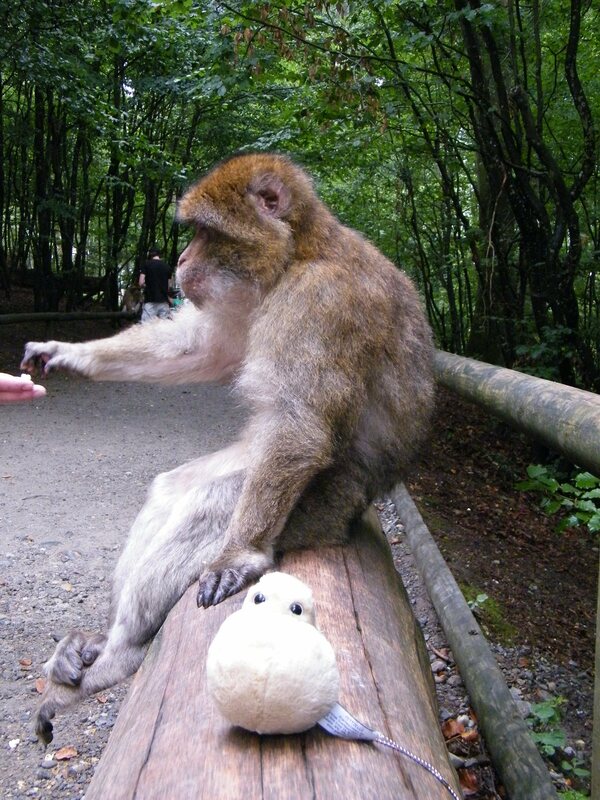 But I’m not very amused that thay called me a failure of the apple -growing. I ‘m just right for that machine! Ahh, who said that we Adipocytes are afraid of the height? Look at this cache “Über Friedrichshafen”, there were many people who were afraid to go on the top of the tower! And I didn’t saw anybody who was sitting at the balustrade just me! But the way to go up, stairs, so much of them! 20 meter is the tower height. I visited Switzerland too, the first time for me at the church of the monastery St. Gallen, what contains one of the oldest and most wonderfull libraris I ever saw. I’m a travelbug, but unfortunately struwwelchen didn’t activate me till today, argghh I want to be activated!!! There are 16 Posts and 2 Comments so far. If the Etrex swings sligthly © 2019 All Rights Reserved.